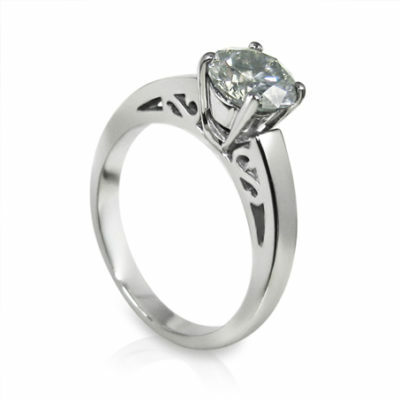 You just got engaged….Now what? This is a wonderful time in your life. You just got engaged to the love of your life, you are overrun with joyful emotions…..and it is time to plan the wedding. Wedding planning can be stressful for many as it requires a lot of work, time and attention, a difficult task when both of you work. This is why many people choose to hire an wedding planner. A great option and will eliminate most of your stress. A wedding planner comes with experience, knowledge of great vendors and locations, and will help your wedding day be a smooth event. Buuuuut….. that’s for another time. Let’s say that a wedding planner is not in your budget and you wish to plan the wedding yourself, or at least with the help of your fiancé, family and/or friends. Here are some tips for planning a wedding. First…SET THE DATE, a budget and then create a timeline. The Venue – It pays to spend a little extra on a nice venue that looks beautiful to start than to spend money to cover up and enhance a bad venue. Photography and Video – These are your memories. Invest in those memories. Additionally, having a great photographer will make you look and feel good no matter what. One thing that many brides with a tight budget have as a regret is not spending more money to get a great photographer. Don’t have any regrets for your wedding, it is too special a day. 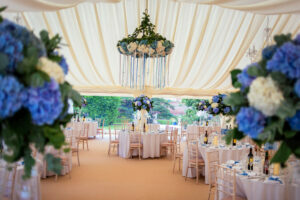 Floral – Flowers and a great florist can transform your wedding and location into an amazing event. The Dress – Spending so much money on a dress you are only going to wear one night seems a little ludicrous. But finding that perfect dress will make you feel so amazing that it is worth it. Now there are other ways to save on the perfect dress such as dress rentals, but that too is for another time. Now lets review the main items in your timeline. Start planning the guest list – A rough count will also help you when choosing your venue as some venues have a minimum or maximum. Find and reserve the venue – Will you have a separate location for the ceremony and reception or all at one location and save on drive time. Plan your wedding party – You know once your friends and family hear you are engaged they will all be asking you “who will be your maid of honor and best man”, as well as the rest of the wedding party favorites. Engagement Party – If you plan to have an engagement party, now is the time to plan it. Book your officiant – There are many different options. You may have one based upon your religious affiliation, there are also great non-denominational ministers, or you may choose to have a friend or family member ordained over the internet to perform you wedding. Hire your photographer/videographer – Having the option to pick a good photographer that you like is important, not what’s left because you waited. And the sooner the better as most will book 9 months – 1 year out. Research and hire a Musician – Whether band or DJ, don’t do it yourself and rely on iTunes or Pandora. Choosing the right musician will help you stay on time with your reception timeline and knows how to read a crowd and play music that will keep your event going strong or according to your wishes. Research hotels for your out of town guests (have hotels choices with 3 different price points), and reserve a block of rooms. Purchase or reserve your dress. Register – Plan to register with at least 3 stores. 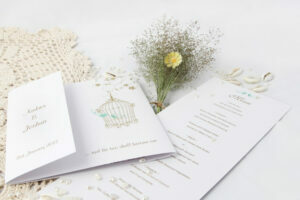 Invitations – Either hire an invitation specialist or begin deciding on your style and what you want for your invitations and purchase them. Begin planning the honeymoon – Enlisting a travel agent is one great way, or if you like to do it yourself there are great online travel booking sites such as Just Travel Online (This site you can book your own travel or if you love to travel, join their travel club for incredible online savings). Or there is Expedia, TripAdvisor, CheapCaribbean, and BookIt, to name a few. Explore. your options for Hair and Makeup. Shop for bridesmaid dresses and decide upon groomsmen attire. 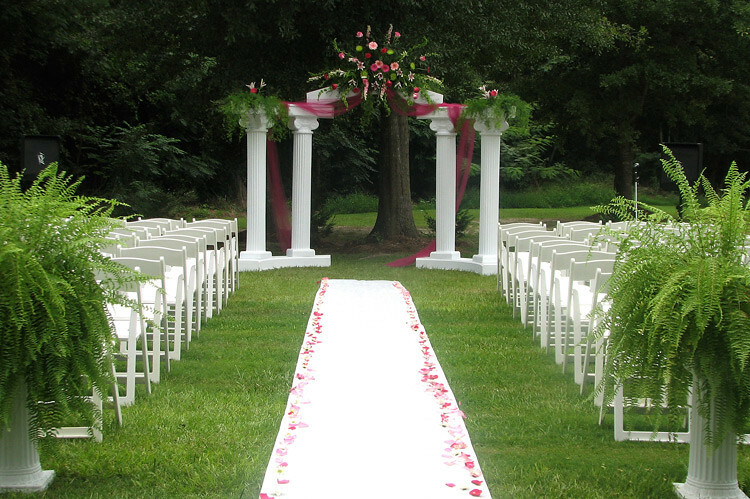 Meet with your officiant and begin discussing your ceremony ideas. Reserve tables, chairs, linens, decor etc. if your location does not provide it. If it does, you will need to decide upon color scheme. Cake – time to go cake tasting….yum….and decide upon your cake. Arrange the transportation to and from the venue. Begin creating your “day of” timeline. 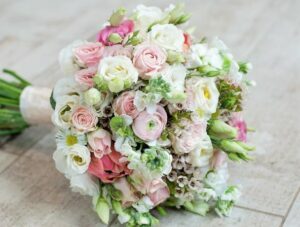 Choose the flowers for the wedding party, attendants, cake etc. Schedule Dress fittings and find appropriate shoes. Schedule Hair and Makeup artist. Book a room for the wedding night. Plan welcome basket for out of town guests. Book rehearsal and rehearsal dinner and arrange the rehearsal guest list. Book honeymoon if you haven’t already. Create a list of people giving toasts. Finalize the order of the ceremony and those giving readings. Send an event schedule to your vendors. Plan the reception seating – good to begin now as this tends to be a task for many. Make sure you have all documents for your honeymoon: Passport is current and necessary visas if required. Deposits have been made. Purchase your bride and groom flutes, baskets for flower girl(s), pillow for ring bearer, and guest book. Order wedding favors for bridal party. Mail the wedding invitation and prepare a system for RSVP’s. Begin working on your wedding vows. Bachelor or Bachelorette party – You don’t want to wait until the week before…..we all saw the movie. Review your playlist with. your musician. Create a wedding day timeline. Review the ceremony details with your officiant. Pick up your marriage license and prepare any documents if you plan to change your name. Final fitting of your dress….hopefully. Confirm times with all vendors. Begin packing for the honeymoon. Get thank you notes for your gifts. Haircut and color if necessary. Pick up your dress and tuxedos. Provide photographer and videographer with any special image requests and music for the video. Prepare tip envelopes for the vendors. Book a massage and spa treatment. Everything is packed for wedding night and honeymoon. Share timeline with wedding party. Give your readers their scripts. Plan who will return the tuxedos after the wedding. Eat a sensible, healthy breakfast. Give the rings to best man. RELAX, SMILE, HAVE FUN and ENJOY YOUR WEDDING….. I hope you found this helpful. In the near future I will be honing in on individual vendors and what to look for when choosing a specific vendor. Have an amazing wedding!